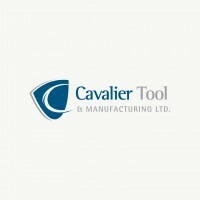 On March 29, 2017 the pieces all came together at Cavalier Tool & Manufacturing Ltd. as they unveiled their facility expansion. 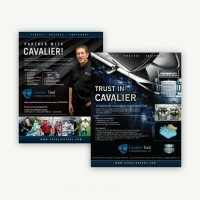 One of our long-time clients, we were happy to work with Cavalier to prepare materials for the big day. 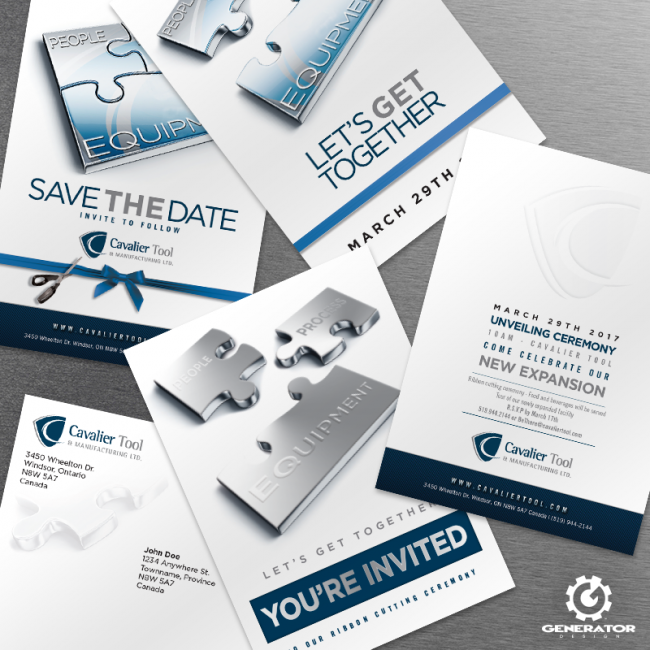 To help get the word out to guests, we produced two special invitations. 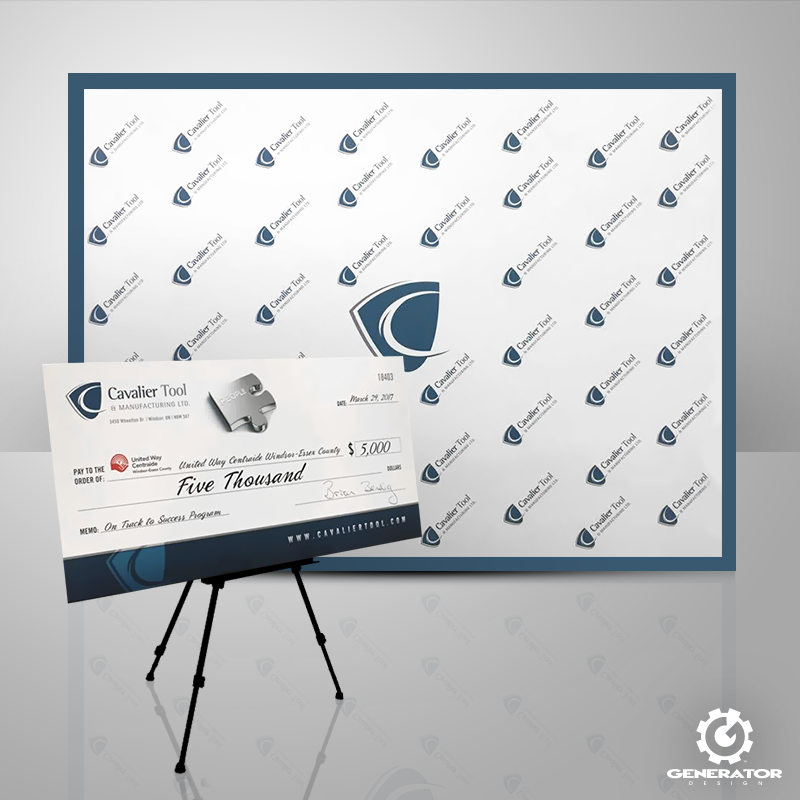 The first was a teaser card to build suspense. The second was the actual invite which used a combination of embossing, foil stamp, and stacked paper, mailed out in personalized envelopes. 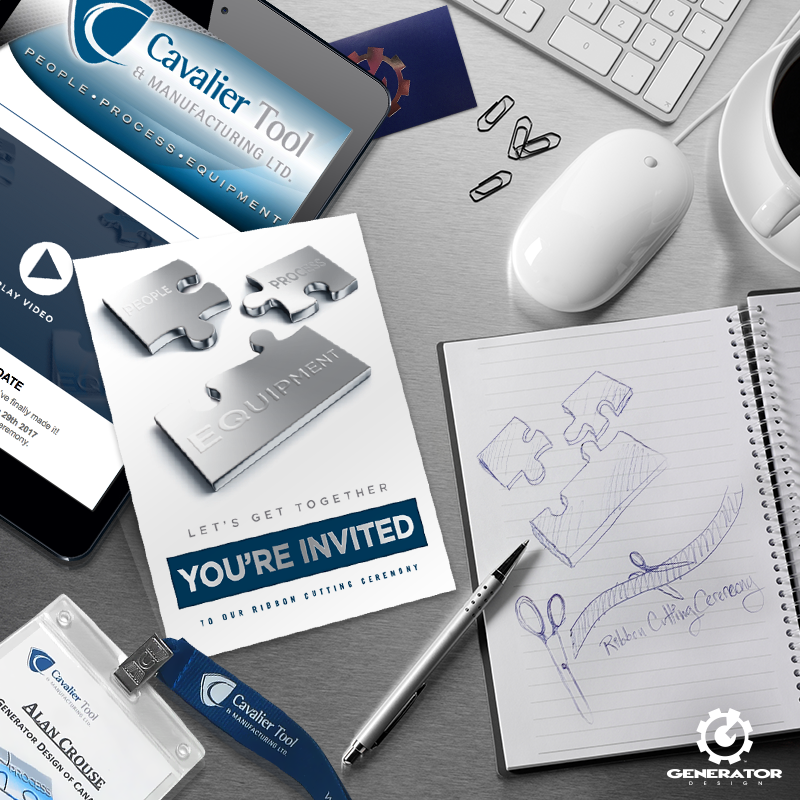 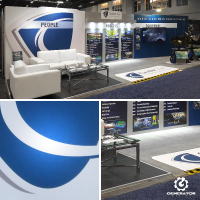 Carrying through the puzzle piece graphic, we also developed an eblast sent out to guests which included an animated GIF linking to a teaser video of the construction of the facility. 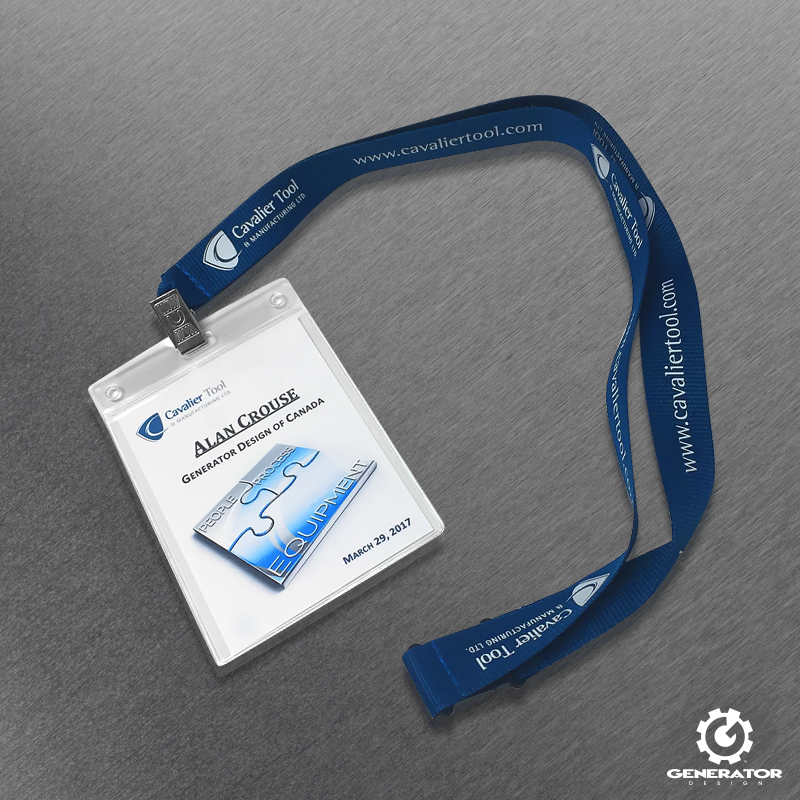 Guests at the event wore personalized lanyards tailored to the occasion. 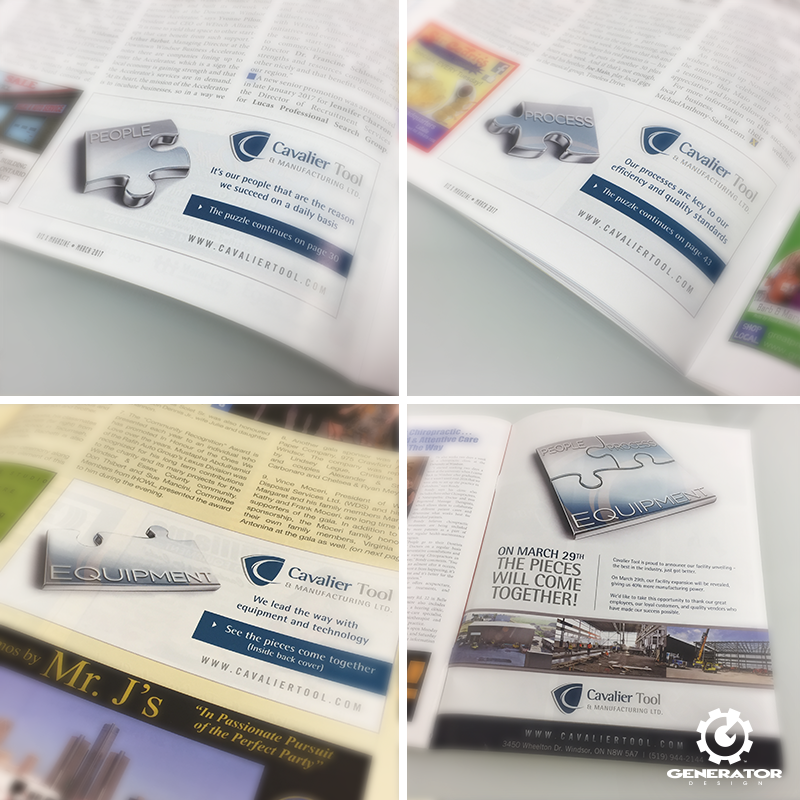 We created a set of four print ads which ran in the March 2017 issue of Biz X Magazine. Each small ad instructed the reader to find the next ad in the issue, finally arriving at the full page ad on the inside back cover announcing Cavalier’s expansion. During the same period, we kept the Cavalier Facebook page active with posts and graphics to build suspense for the unveiling. 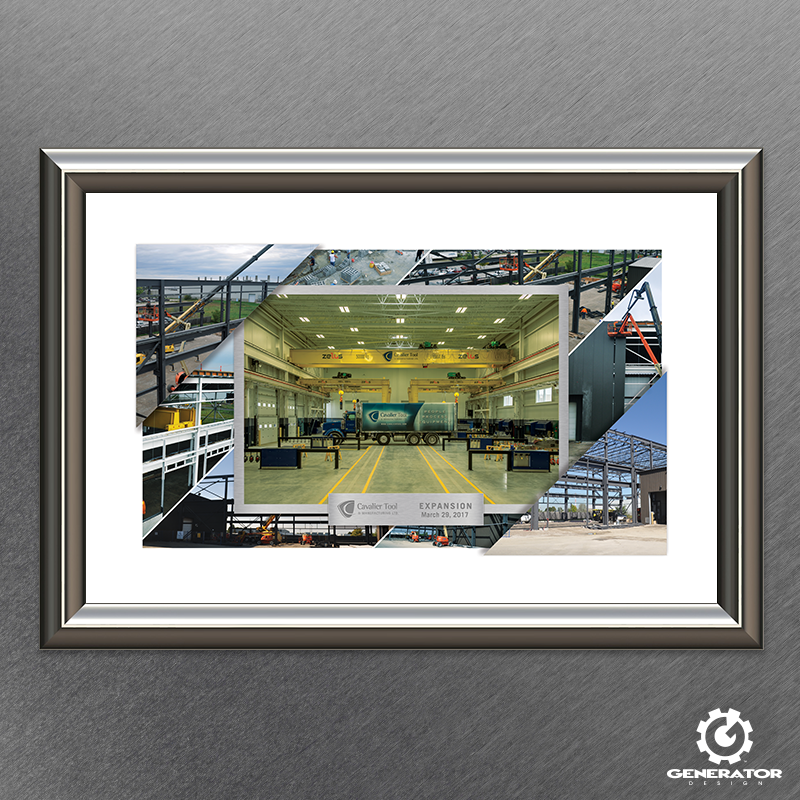 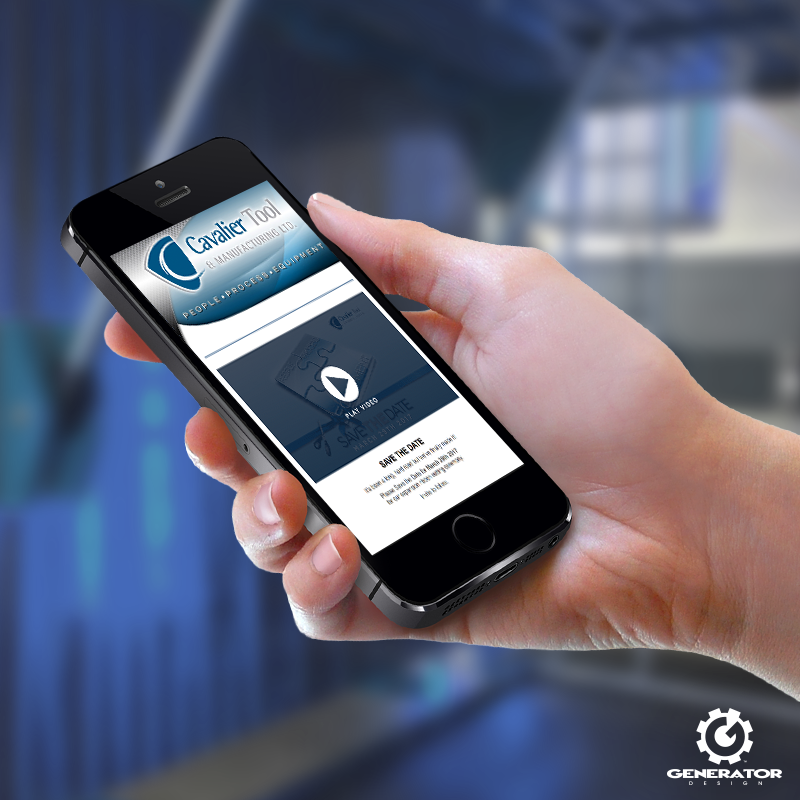 The day before the unveiling, Generator organized a photoshoot of the facility before the celebrations began, capturing the environment and new machinery. For the main event, we designed a set of large presentation cheques, as well as a step-and-repeat backdrop tiled with the Cavalier logo to brand photoshoots. 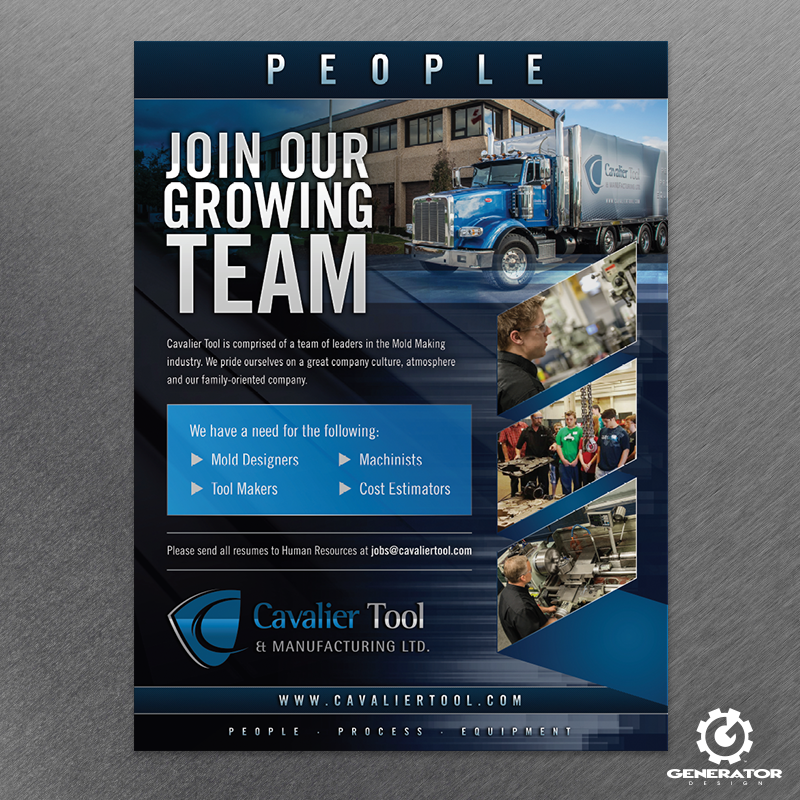 With the expansion of their facility, Cavalier also required a promotional poster for employment opportunities which was displayed at the unveiling. One of the biggest photo opportunities was the ceremonial ribbon cutting we designed with the Cavalier logo and web address. 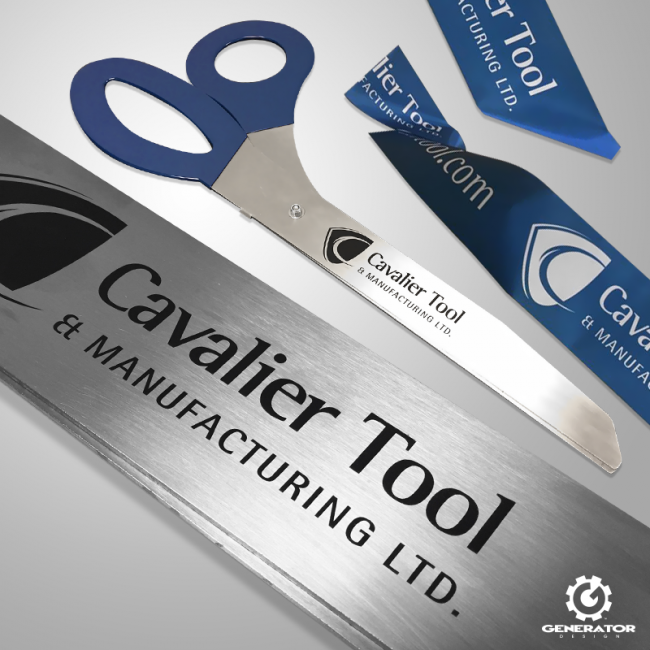 And to cut the ribbon we even produced a pair of giant ribbon-cutting scissored stamped with the Cavalier logo!